The annual Ball Up national tour “Search for the Next” visits 10+ local markets annually in search of the next best Streetball star, with Omaha being one of their stops in 2015 on June 27! At each local stop an open run tryout is held to select the city’s top talent to take on the Ball Up All-Stars in a live arena event that evening. Local challengers are coached in each market by different guest NBA player coaches. Two local players are selected as MVPs from each tour stop. MVP players are flown to a Combine camp where they compete for their spot on the opposing Championship team. Ten MVP’s advance but only one wins the Ball Up contract. This tour is filmed as a television series for Fox Sports. Ball Up is the premier sports and lifestyle brand dedicated to capturing and delivering the essence of streetball. Its mission is to provide an opportunity for the sport's incredible athletes and fans to share their passion with the world. Founded in 2009, Ball Up has been strategically grown by professionalizing the sport and leveraging the lifestyle of streetball to create a global movement. 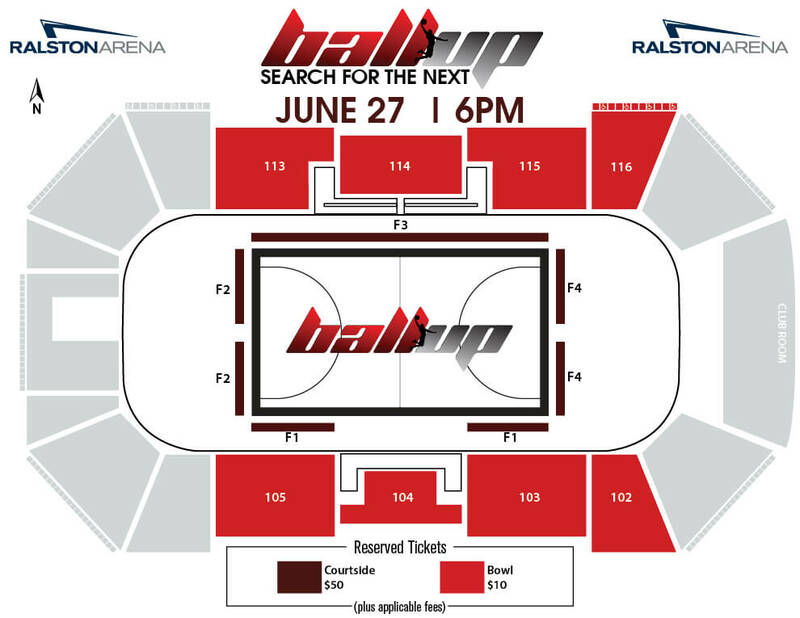 The brand now boasts an All-Star roster of twelve of the world's most famous streetball players including Professor, AO and Air Up There, a 15-market national arena tour, robust international touring schedule and the top rated competition reality series on FOX Sports – Ball Up: Search for the Next. Learn more about Ball Up.